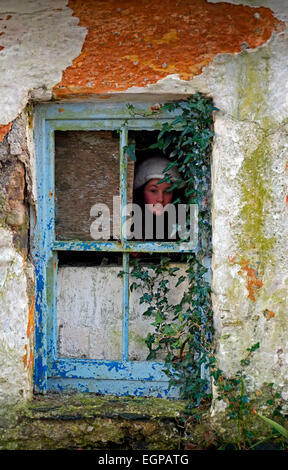 A teenaged girl looking out a window. 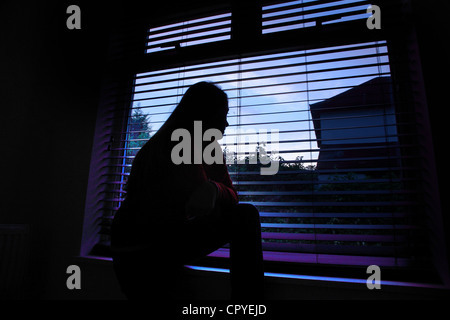 Young female sitting alone in a dark room looking out through a window blind. 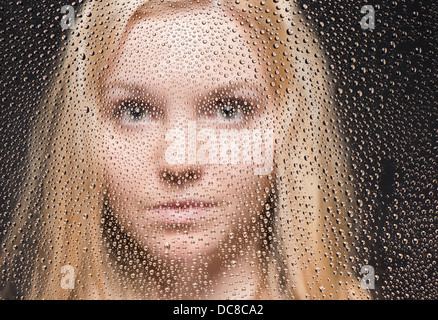 Young female standing in a dark room looking out through a window blind. 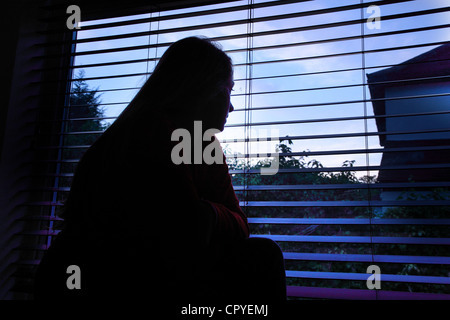 Sad and depressed teen girl looks outside her window, into the sunshine, from the darkness of her room. 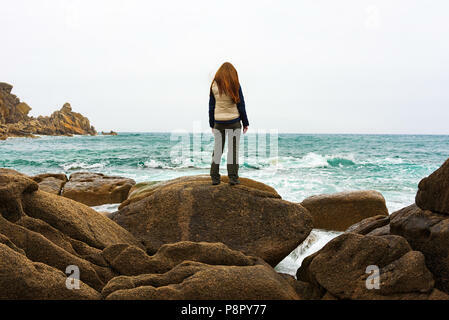 Photo by Darrell Young.